In the fall of ’89, I enrolled in the GIT (Guitar Institute of Technology) course held at Musicians Institute in Hollywood, California. After receiving my GIT certificate (96% average), I decided to share what I had been taught and become a teacher myself. In 1990 I began my career as a private teacher. 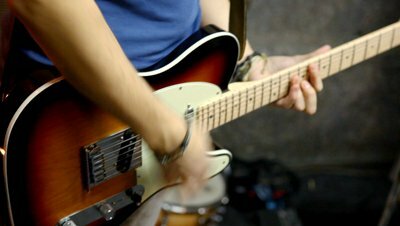 As my reputation as a teacher in the London communtity grew, I was approached to be the first electric guitar teacher at the Western Ontario Conservatory of Music (now Conservatory Canada). From 2013-2015, I was also a volunteer Youth Music Director at Redemption Bible Chapel in London, Ontario. There I mentored and coached new players and directed them through rehearsal and live performance - all the while performing in aproximately 100 services a year in front of 1500 people between Adult, Youth and Kids ministries. Statement of faith (pdf) can be found here. 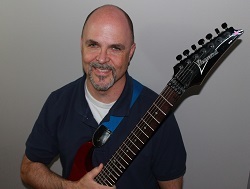 As an avid publisher on YouTube, my Channel (Old7StringGuy) has over 2.5 Million views and over 10,000 subscribers. These videos include lessons and product reviews. Lessons are currently provided at my studio and are 1-on-1 individual lessons. You can choose either a regular scheduled weekly lesson, or Coaching Sessions. Scheduled lessons are a half-hour in length, and are the same day and time every week. These run over a 15 week period. Coaching sessions are one-off style lessons, usually an hour in length and do not follow a weekly schedule. These are more for individuals who cannot commit to a regular schedule because of other commitments outside of lessons. Classes/Programs. 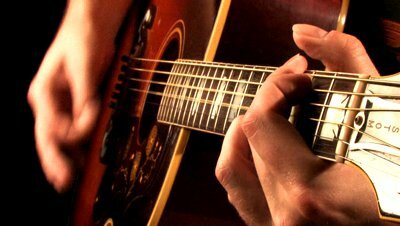 Would you, or your institution be interested in hosting a guitar class? Scott can easily set up classroom sessions for acoustic, electric or bass guitar. For more information contact Scott directly here. More Info: click here to show/hide details or to register. Choice of modern and classic songs (student´s choice). Students can also choose their own songs to learn. How to effectively learn songs. Analysis of solo styles (bending, sliding, tapping, sweep picking). Proper placement of fret and pick hand. Pick positioning and picking methods (alternating and sweep picking). All Open Chords, including inversions and extensions. All Bar Chords, including inversions and extensions. Power Chord workout, utilizing different rock techniques. Applied Strumming Techniques with rhythm studies. Proper warm-ups and picking techniques. Pentatonic and Blues scales in all positions. Major Scale Modes and Minor Scales (natural, melodic and harmonic). Extensive rhythmic study using modern riffs and licks. Applied Scale Techniques (bending, sliding and tapping). Understanding keys, note and rest values. Fundamental chord structure, including inversions. Understanding charts and their terminology. Applied learning using duets and rhythm sections. The fall 2017 session begins Monday, September 11. Scheduled lessons run on Monday and Thursday evenings from 6:00 pm to 9:00 pm. You can begin anytime during the session. The current fee for 2016 is $300 for 15 weeks ($20/half-hour). Payment is to be made in full prior to the first lesson. Include preferred day and time (please refer to the Schedule & Fees for open lesson times). Include whether you want Scheduled or Coaching lessons. Lesson Videos are for current students only. To access, type in your code in the input box and hit FIND. Within one month of lots of practice and Scott's wisdom he taught me all his secrets to shredding and mastering complex techniques. I thought I would never be able to play a single solo and in one winter session I was playing the most complex licks without even knowing it. He teaches you EVERYTHING he knows, not just the basic stuff but all of his secrets to guitar success. By far the best music teacher, highly recommend the lessons. Scott Johnston is far and away the best guitar teacher I have ever had. Even though I've moved away, I still try and come to him as often as I can for lessons. The trip is worth it! I have been playing guitar for 4 years and have been taking lessons with Scott since the start of my playing. Since the beginning it has been a great and easy learning experience. I have been trying for weeks to find EXACTLY what you included in this lesson! Thanks to you, I now have the solid foundation that has been missing for both my left AND right hand techniques! THANK YOU!!!!!! Man, great video. Explained so well, and you addressed things that everyone wants to know but none of the famous guys ever talk about. Thanks!!! 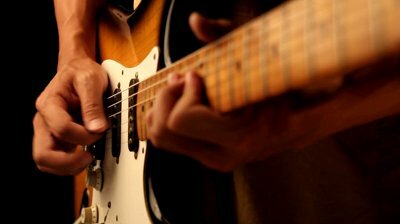 Innovative ideas to solve some common dilemmas in guitar playing. So many guitarists are good players but relatively poor teachers. You are obviously gifted to teach. When I took Mr. Johnston's Guitar Class at High Day, I began to learn the chords and strum patterns very quickly thanks to all of his help and patience! I looked forward to going to class and really enjoyed it. He does a good job of explaining things and makes learning fun and easy. I’ve always wanted to learn guitar because I love the way it sounds. I tried reading books and using tutorial dvd’s, but that didn’t really work out. When I began Mr. Johnston’s 10 week class, I knew 3 chords, and I thought maybe I’d only learn a few more, but he showed me through a lot of practice and hard work that it pays off. I now can play 13 chords, and can keep a steady rhythm through songs. Thanks to Mr. Johnston, I’m now able to play music instead of noise! 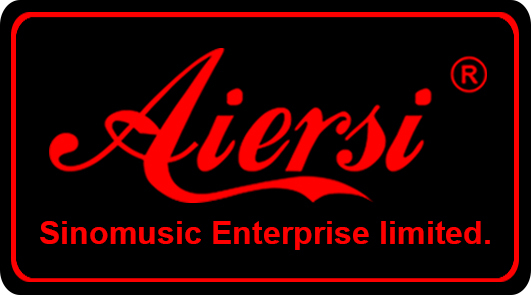 Chinese No.1 Brand For Guitar,Bass and Ukulele! Scott uses Joyo guitar pedal effects. CheaperPedals.com - These guys sell great pedals with some of the best prices, shipping and customer service I've found on the Net. Very friendly folk - go check them out.